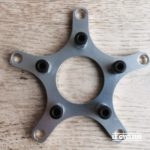 There’s something magical about the Mavic ‘starfish’ cranks. 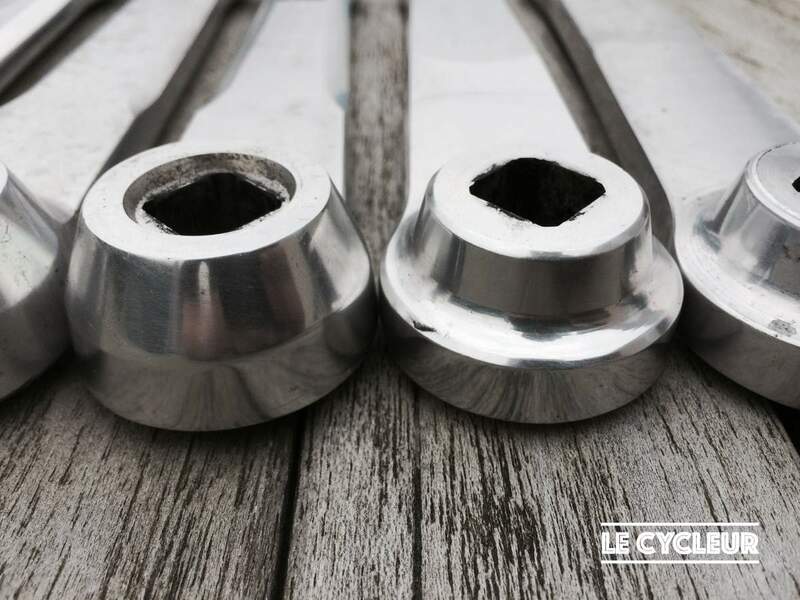 They are not the lightest nor the most refined cranksets ever made but they are definitely one of the most impressive production cranks of all times. So what made the starfish crank so magical? 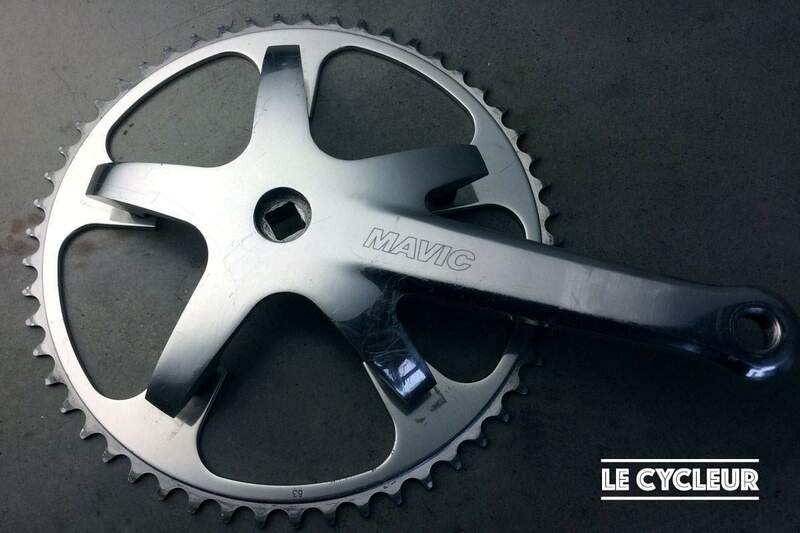 Mavic introduced the invisible chainring mount which had a huge impact on the looks of the drivetrain side. 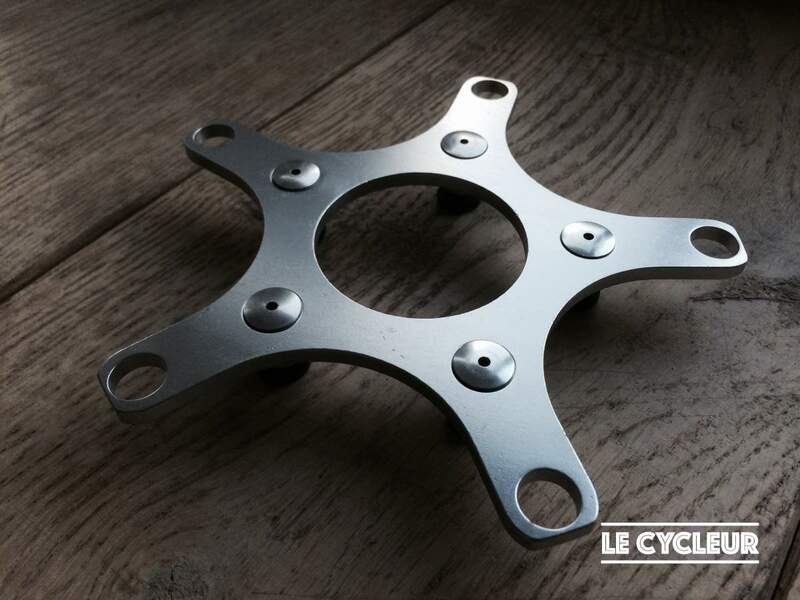 Since both chainrings were fixed with the the same bolts and 4mm spacers from the inside of the crank, the outside got a smooth, bolt-free, futuristic look. 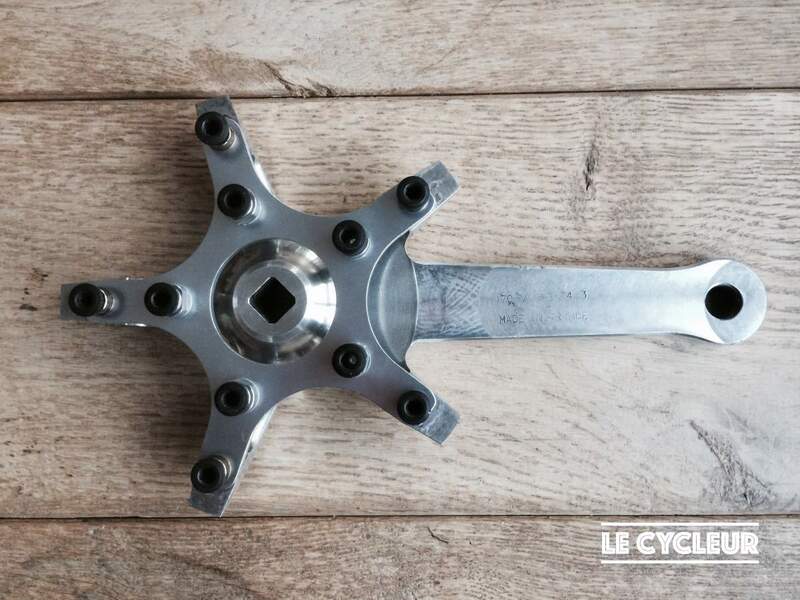 The very first Mavic starfish cranks were manufactured at the end of 1988 for the professional riders of the 1989 ADR cycling team. You can clearly see that the ‘Team 89’ edition with date code ‘8812AA’ is a rough prototype compared to the very first production model that was released in the summer of 1989. The prototype (top) had a slightly larger chamfered edge. The chamfered bracket hole of the production version (right) reduced cracking. 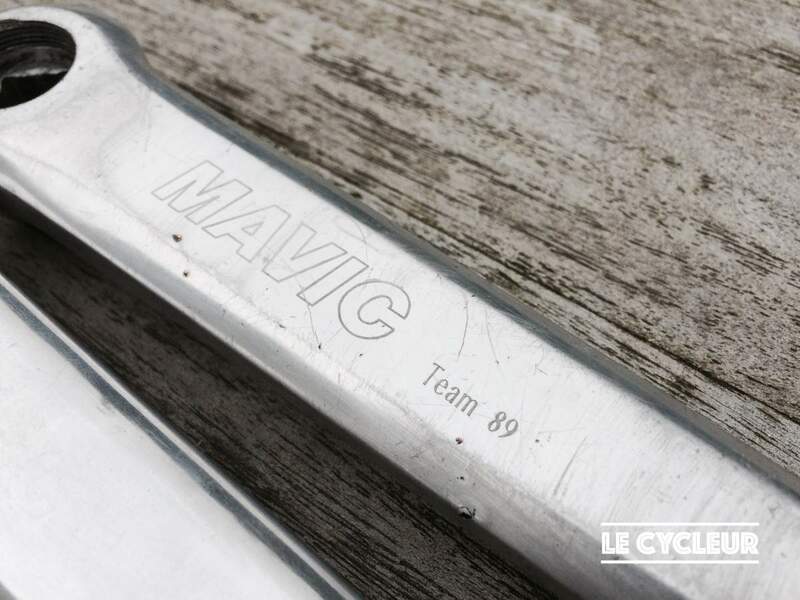 The official 1989-’90 catalogue (released in the summer of 1989) introduced the Mavic 631 crankset in combination with the brand new Mavic 840 rear derailleur for index shifting. The production version features some minor changes to the ‘Team 89’ prototype, is about 25g lighter and has a clearly better finish. 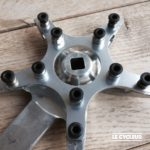 The Mavic 631 ‘Starfish’ crank has gone through some small changes since its official release. Mavic was never known for its seasonal collections. Rather the French manufacturer introduced some major innovations every 5-6 years and gradually improved its products towards the next innovation. 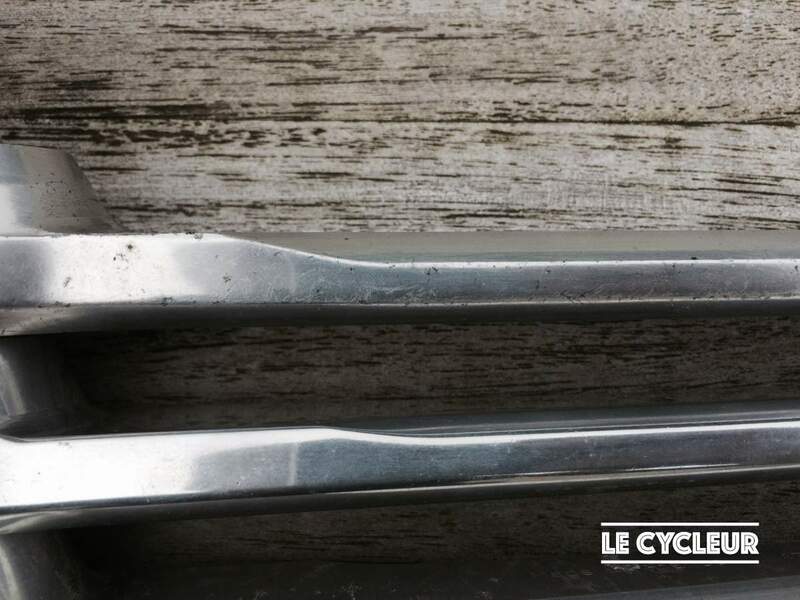 From 1990 to the release of the Mavic ZAP groupset in 1993, all cranks we examined show the evidence that the starfish crankset was ‘softened’ year after year, with a clearly softer edge in 1993, right before the design moved in the opposite direction the year after. 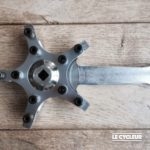 Until 1994 Mavic persisted in making straight cranks “so that riders would immediately notice it if their cranks were bent”. 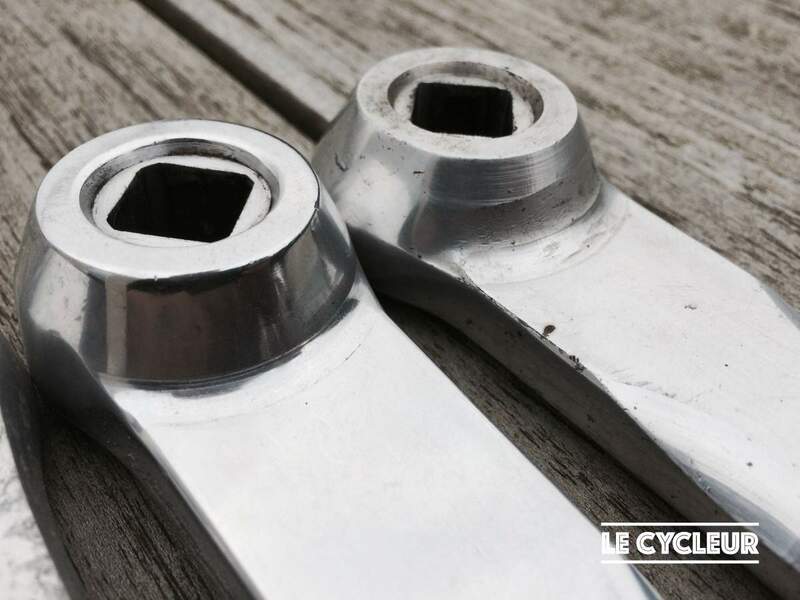 In 1994 however, they introduced a novel crank design with slightly bent cranks. Although most online sources will tell you the Mavic 632 version is lighter than its predecessor, probably because this is what Mavic wanted us to believe and the milling on the drive side gives the impression of weight reduction, I always trust my scales. 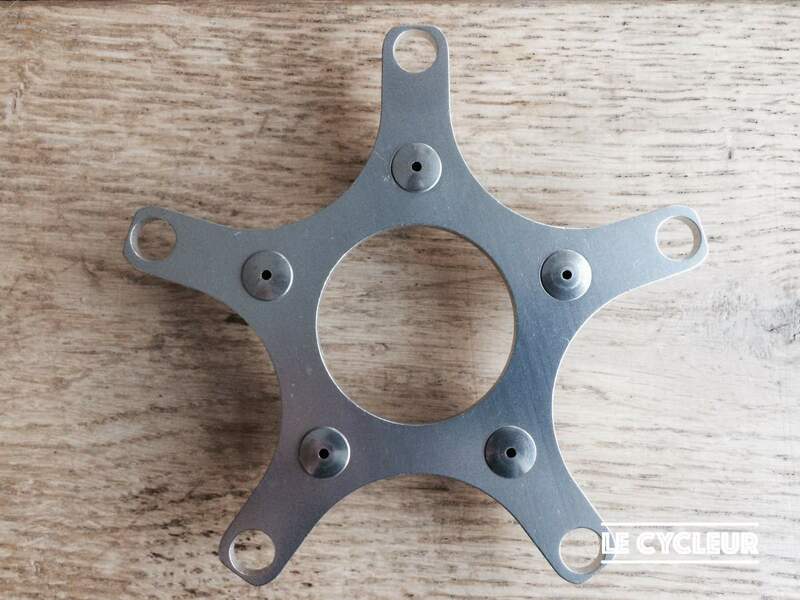 I compared various starfish cranksets from various years and there’s a clear indication that the post 1994 starfish crank is actually about 17-20g heavier, weighing around 595g for a 170mm set without chainrings, but including bolts and spacers. 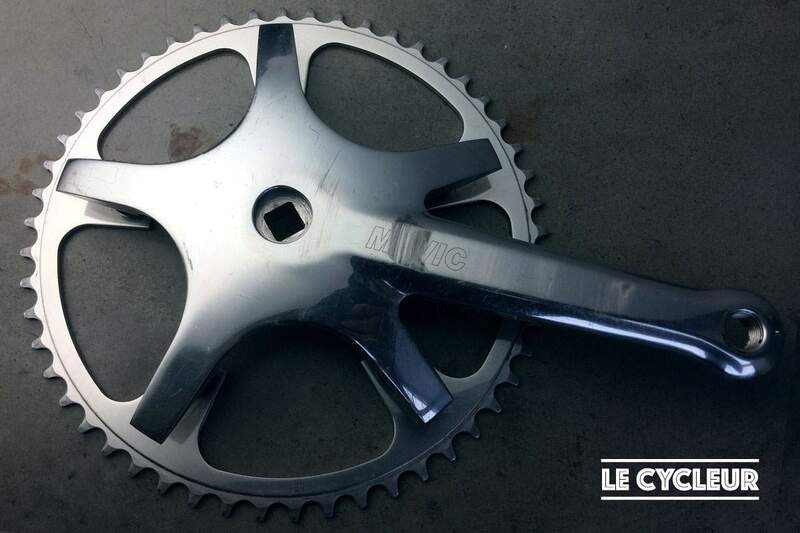 The non-drive side of the crank became wider and less material was removed from the edges. 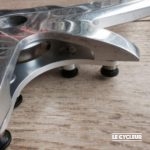 The spider at the drive crank side is a lot thicker than before, most likely to reduce flex and to avoid the chainrings to touch the front derailleur when pushing the pedals real hard. 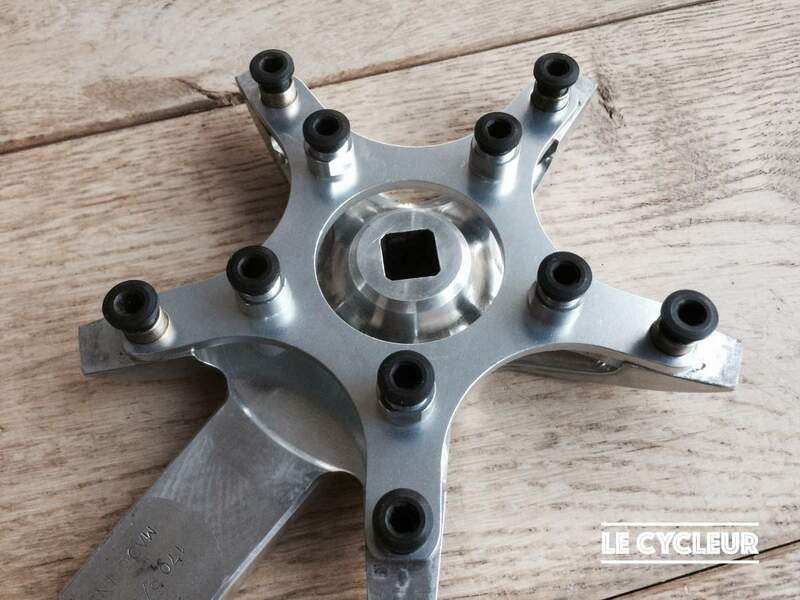 So Mavic had to do quite some extra milling at the inside of the drive crank to save weight on top of shortening the spider but it still ended up heavier than the older version. 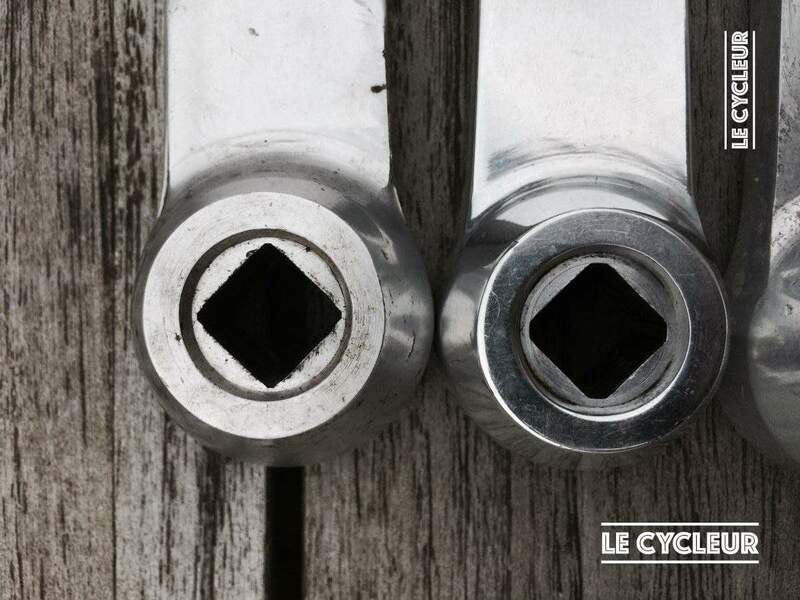 Weight reduction efforts on the 632 crank (right) did not help reducing the overall weight of the 1994 crank. The final edition features minor changes on the outer surface and a slightly larger logo. 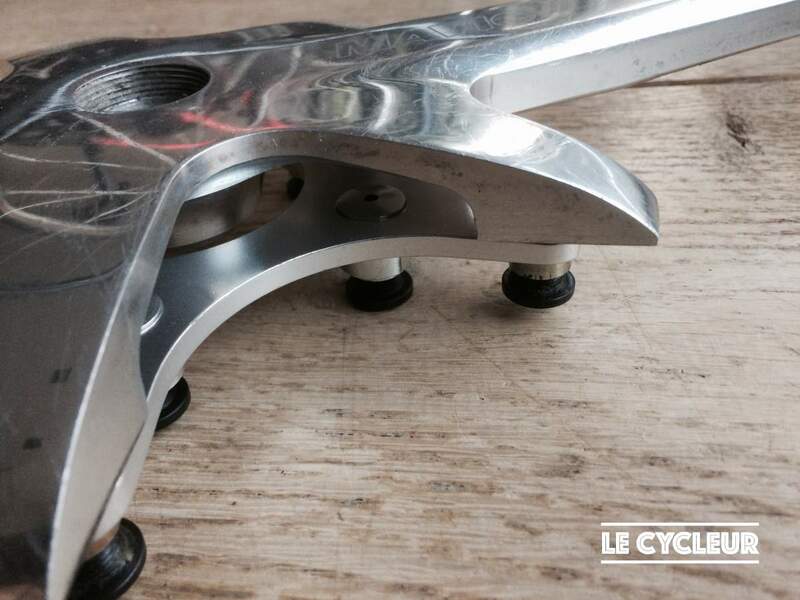 The overal finish is more edgy as if Mavic was in a hurry to get the last starfish cranks out of the factory. The etching of the logo, on the other hand, was more refined. What about pista and triple? There’s some confusion whether Mavic had special ‘pista’ and ‘triple’ cranks. They didn’t! 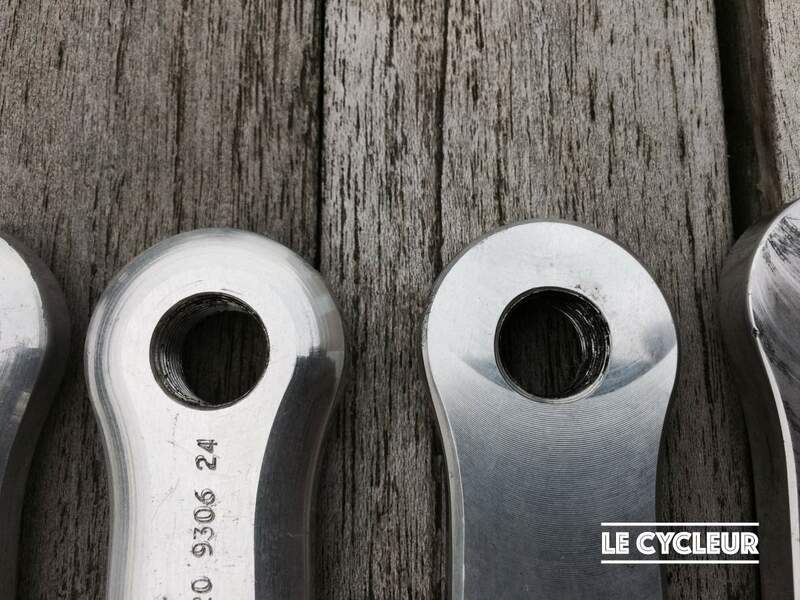 The 631/2 cranks were made in 165 (from 1994), 170, 172.5, 175, 177.5 and 180 mm length with a 130 mm BCD so they could fit any chainring larger than 39 at the inside or (from the 1994 version) 43 at the outside (48 for the pre-1994 version). 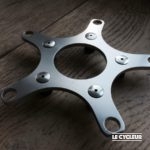 So they were versatile and were used for both road and pista without any special adaptations, aligning the chainrings using the appropriate 110 or 114 mm bottom bracket. 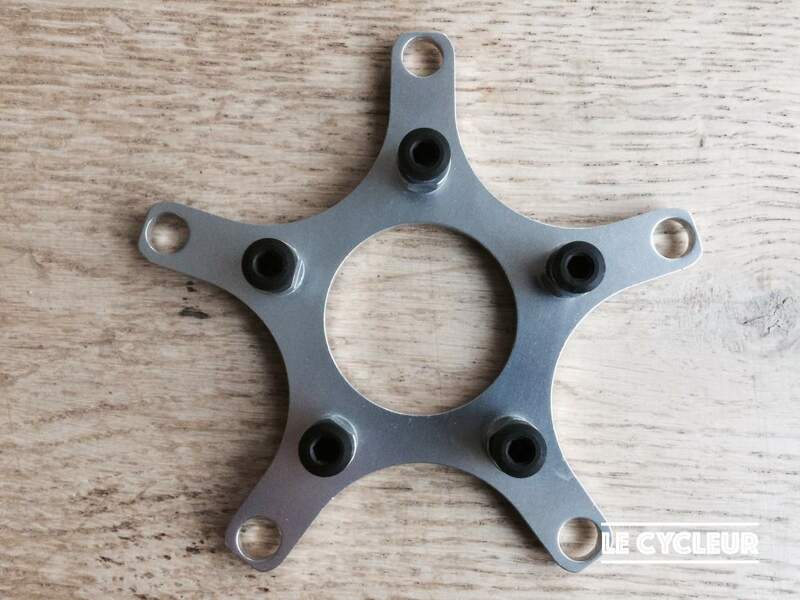 For the triple conversion, Mavic used a special aluminum convertor plate that replaced the 4mm spacers and could fit the third chainring with a 74 mm BCD. They did make a special 119mm bottom bracket for it. 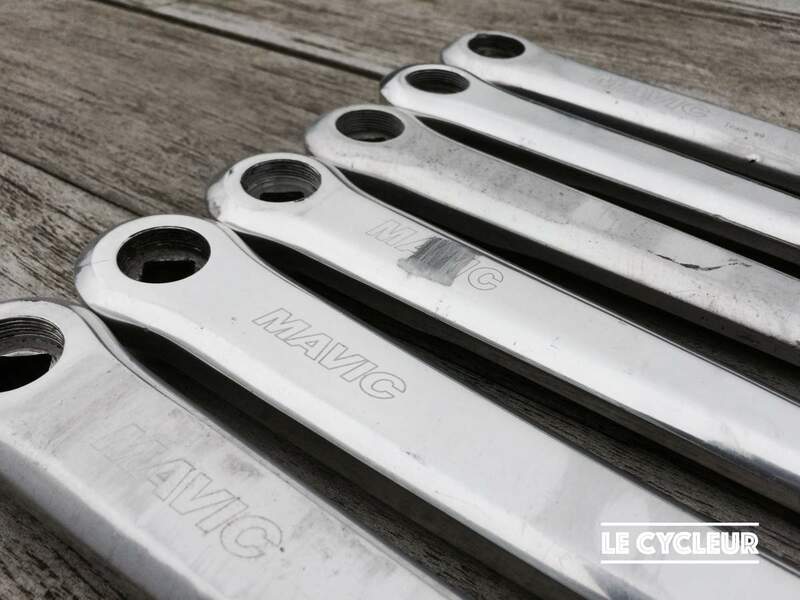 Although the cranksets are numbered, the Mavic history is still one of the hardest to reconstruct. So if you have anything to add or any questions, please feel free to drop a comment below and we’ll look into it and update the story accordingly if necessary. I was in France the summer of ’91 as an exchange student, and fondly remember that on French TV the promo for the Tour had a CGI rendering of that crank. 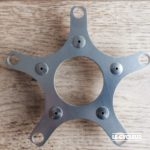 Hi just read your interesting article about mavic starfish. I have two 631 cranksets. One is standard manufacture,the other although retaining all the same overall size has been drastically shaped aerodynamically. The spider arms have been slimmed down,but more importantly both crank arms have been machined down to form an edge on the windbreaking side ( right edge) on spider.